This section of the Guidelines aims to provide workers with a range of options for managing and treating mental health symptoms within a holistic health care approach that involves multiple services and integrated care coordination. Mental health symptoms can be identified through screening and assessment processes (see Chapter B2), or they may arise spontaneously during the client’s treatment. There is a distinction between the management of comorbid mental health conditions and their treatment. The goal of management is to allow AOD treatment to continue without mental health symptoms disrupting the treatment process, and to retain clients in treatment who might otherwise discontinue such treatment. Without further treatment, these techniques on their own may not provide long-term relief from symptoms; however, they may allow the client’s AOD use to be treated in the interim. Both the management and treatment of specific comorbid disorders are discussed in Chapter B6. It is essential to consider the whole person and accept that one approach is not necessarily going to work for all clients. Different clients present with unique psychological and sociodemographic backgrounds and it is important to take these factors into consideration when responding to comorbidity. It is also critical to remember that the process of assessments, screenings, monitoring, cooperation, collaboration, and partnerships are indeed processes, which should be ongoing throughout all stages of management and treatment. 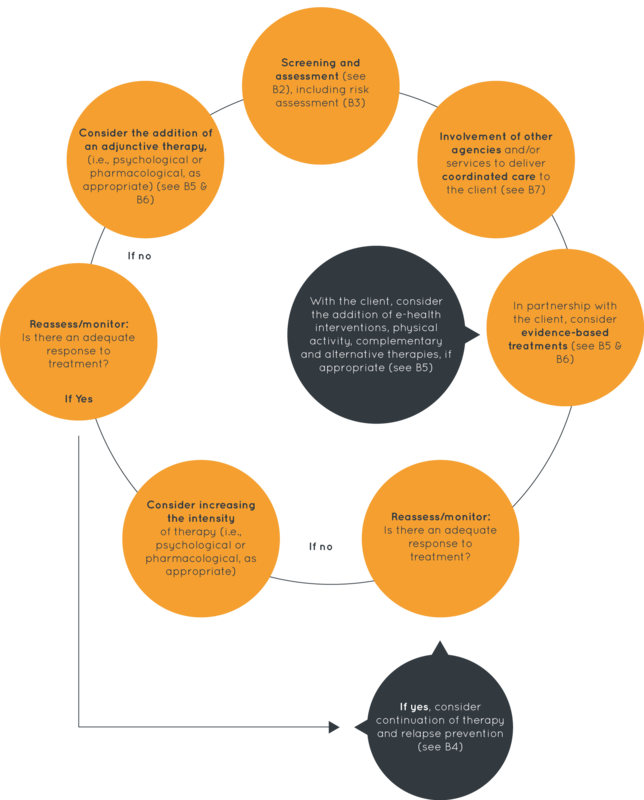 Figure 8 illustrates a pathway through care model, highlighting the continuing stages of reassessment, monitoring, and client involvement. Does the client have a balanced lifestyle (see B1)? Do they smoke, exercise, eat, and sleep well?